You know business analytics are crucial to the success of your organization. You know you need to improve your working BI knowledge. Here are our top ten (totally objective) picks for great online courses and resources to help you master the fundamentals of business analytics and take advantage of the tremendous opportunities better business intelligence can offer. After all, access to easy learning is a key perk of the info revolution. edX brings you courses from leading universities all over the world — including Harvard, MIT, UC Berkeley, and more. Browse through until you find the course that best matches your needs. We recommend taking a close look at Statistical Thinking for Data Science, and Analytics taught by Andrew Gelman of the Statistical Inference, Causal Inference, and Social Science blog. It’s an excellent choice if you want to learn all about the role statistics plays in data science and analytics. This course is perfect for business users who want predictive analytics. If you frequently generate or read forecasts, this is the course for you. In this course, top professors teach you key predictive analytics strategies such as how to evaluate the performance of forecasting methods and how to tie forecasting analytics in with the business challenges. Codecademy is an absolute must for anyone with dreams of becoming a bona fide data analyst, and a major leg up for non-tech users who want to do more with data. SQL is the structured query language used by the vast majority of databases, CRMs, and business apps. Learn SQL and you’ll know how to access and read data in almost any context. This course is incredibly practical, prompting you to run your SQL commands via an interactive interface. Tied in with UN Global Goals, Big Data University offers a ton of great data analytics learning content with an ethical edge. Choose from courses covering Big Data Fundamentals or go deeper with courses on Hadoop Programming and more. Big Data U is the best option for “unofficial” data scientists who are interested in making a career and a difference. Not ready to commit to a full course? Author and data analytics pro, Avinash Kaushik’s blog brings you timely expert insights on what’s happening in data analytics, all within a business context. With insightful use cases and an eye to the future, even analysts can learn something new here. As LinkedIn’s online learning platform, Lynda.com’s educational content is generated by practitioners, for practitioners. At the time of this post, there are 69 courses and 2,594 tutorials for data analysis training, covering a broad range of topics, including web analytics, data validation, how to use tools like Excel and SPSS Statistics, and much more. From data scientists to non-tech users, Lynda.com has something for everyone. Learn and apply business data strategies in four targeted courses: Customer Analytics, Operations Analytics, People Analytics, and Accounting Analytics. 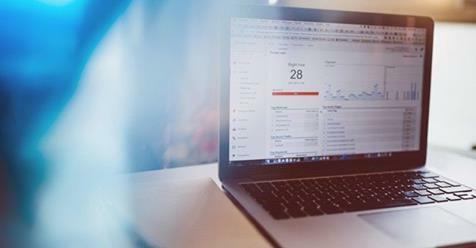 The specialization culminates with a fifth course, the Business Analytics Capstone, a hands-on project that lets you apply your new data analysis skills to real problems faced by tech giants Yahoo, Google, and Facebook. The Capstone Project was designed in partnership with Yahoo with the goal of enabling the learner to make data-driven decisions in his or her organization. Jigsaw Academy offers a well-curated collection of courses for new and seasoned data scientists, as well as non-tech beginners. You can choose a la carte classes to brush up on a particular topic, or opt for one of their extensive course packages which offer everything you need to know within a key area of analytics, such as Data Scientist, Big Data Analyst, or Machine Learning Specialist. Each course comes with a certificate upon completion. Our favorite thing about this course is that it deals with some of the trickiest real-world business intelligence problems, such as getting organizational buy-in and how to train and communicate with staff to create a business culture that embraces data-driven decision-making. With over 85,000 members from 900+ global enterprises, TM Forum is one of the leading industry associations for digital business across industries. Their Big Data Analytics program covers best practices for extracting value from your business analytics and includes use cases to help you decide how to work through your business analytics challenges. Now that you have ten great options to choose from, it’s time to get started! Whether you want to improve your skills or get a jumpstart to your learning, knowledge of BI will start transforming your professional career and organization (no matter the industry) fast. Take advantage of the info revolution and stay the course.